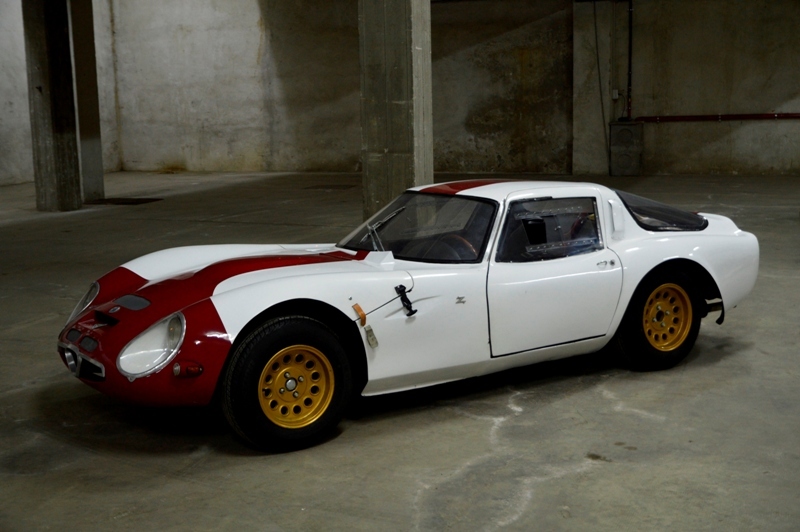 AN amazing Alfa Romeo TZ2 by Giordanengo is among more than 70 classic and historic cars to go under the hammer at Coys’ auction at Ascot racecourse on May 16. The Alfa was built in the late 1970s using original Alfa Romeo components by the legendary coachbuilder Giordanengo, highly regarded for his fantastic 250 GTO and California Spyder. The car has been reconditioned after spending the last 40 years in the world regarded Milan Telecommunications Museum and is now ready to be driven and enjoyed. It is estimated at £155,000 to £180,000. Other star lots include a 1956 Lotus Eleven Series 1 Le Mans Specification (£85,000 to £95,000), and a 1960 Maserati 3500GT (£90,000 to £110,000). Also featured are a 1995 Porsche 993 RS (£180,000 to £220,000), a 1918 Bianchi Sport (£85,000 to £100,000), a 1937 Ford V8 Model 78 “Woody” Station Wagon (£40,000 to £50,000) and a 1935 Rolls-Royce 20/25 Sports Saloon by Lancefield of London (£38,000 to £45,000).